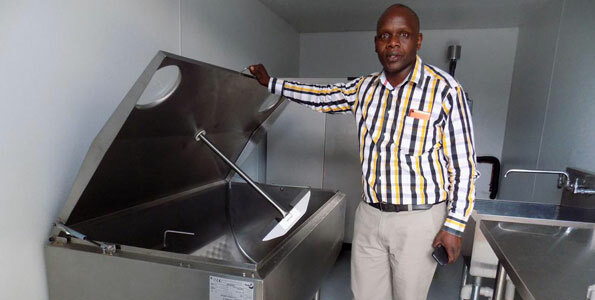 Researchers at the University of Hohenheim in Germany have developed solar-powered milk cooling refrigerators for use by smallholder dairy farmers across Africa. This is in response to such farmers suffering from low production, and poor quality milk, due to a lack of cooling systems and animal feeds. Indeed, there are multiple benefits to being able to keep milk cooler for longer. First, cooling can help retain milk quality and ensure premium prices are obtained at market. Second, higher production levels can be obtained as reliable cooling facilities can enable many farmers to milk their cows twice a day thereby generating additional income. Third, milk processors are able to charge a premium price for better tasting dairy products that are chilled from farm to factory. German company, Phaesun GmbH, is expected to commercialise the solar-powered milk coolers, which are currently an initiative of the German Federal Ministry for Economic Cooperation and Development. Doing so will help to meet the refrigeration needs of small- and medium-sized dairy farmers across Africa and can help to reduce losses across the entire dairy value chain. Presently, the solar-powered ice coolers are being trialled in two dairy communities in Africa. These include the Sidi Bouzid region in Tunisia and at the Sam Malanga Co-operative Society in Siya County in western Kenya. Results in the former are being assessed by the Tunisian Ministry of Agriculture along with the International Centre for Agricultural Research in Dry Areas while in the latter area results are being evaluated by the Jaramogi Oginga Odinga University of Science and Technology. According to a recent World Bank Fact Sheet agriculture in Africa accounts for 65 per cent of Africa’s labour force and 32% of its gross domestic product. It points out that higher and sustained growth will require attention to five core areas of public domain. These include facilitating agricultural markets and trade, improving agricultural productivity, investing in public infrastructure for agricultural growth, reducing rural vulnerability and insecurity and improving agricultural policy and institutions. In relation to these the solar-powered milk cooler certainly shows the use of innovation in striving to address a major challenge and touches on more than one of the five core areas that the World Bank highlights. ‹ When two worlds collide in Colombia	› Is there a good political regime?